To close dry bag, align the top two edges, roll down tightly at least three times and secure by clicking buckle closed. 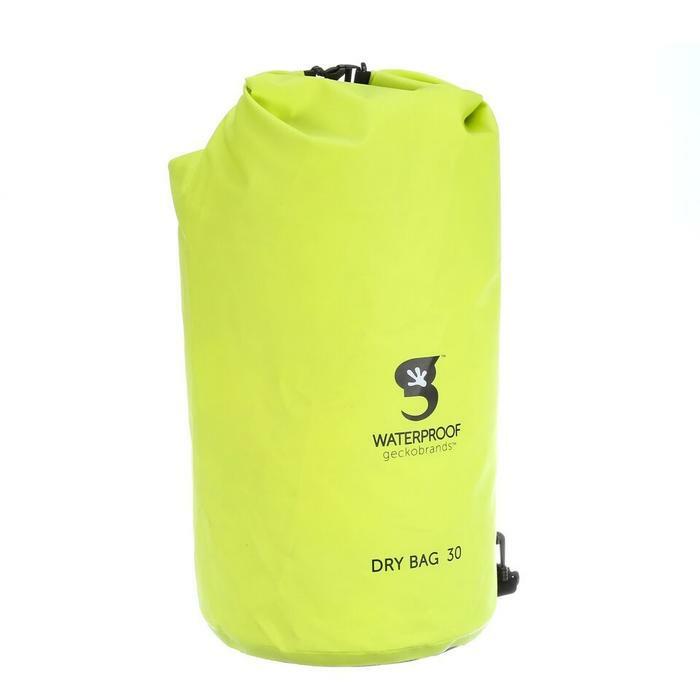 This dry bag is not intended to be used as a floatation device. The success of the dry bag depends on proper closure and protection from sharp objects. Inspect the bag before each use for punctures or tears. We recommend testing the dry bag prior to using. Geckobrands is not responsible for damage caused to the contents of the bag. Carabineer is not intended for climbing.